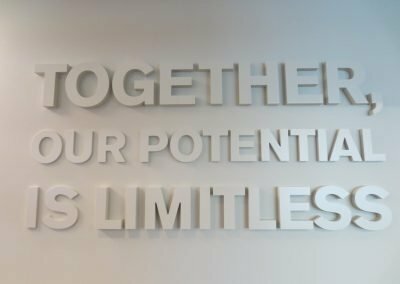 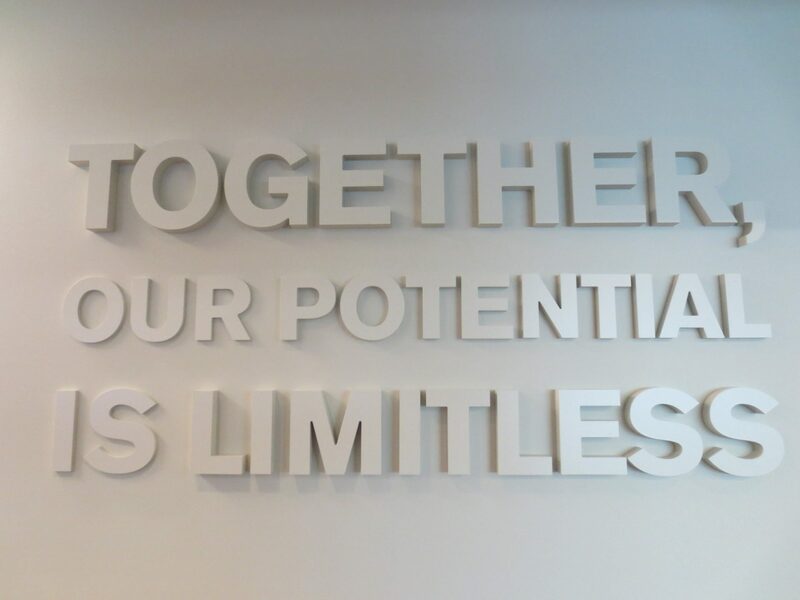 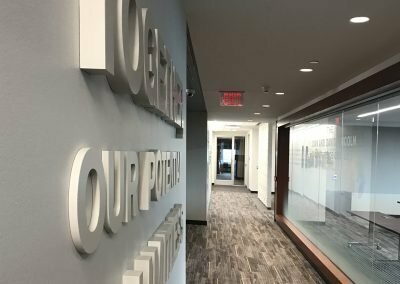 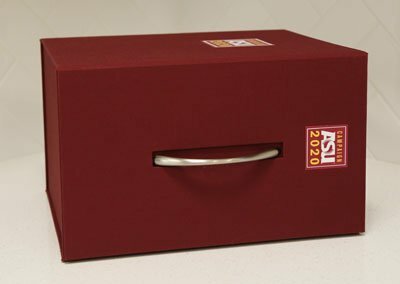 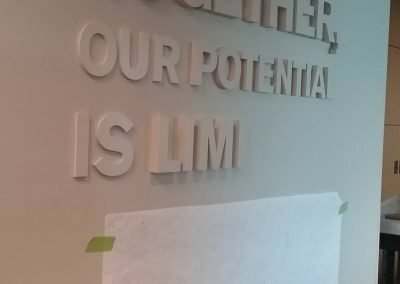 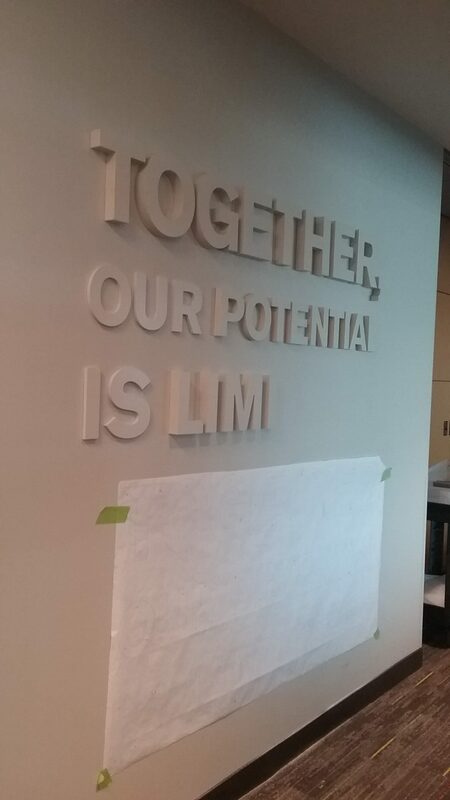 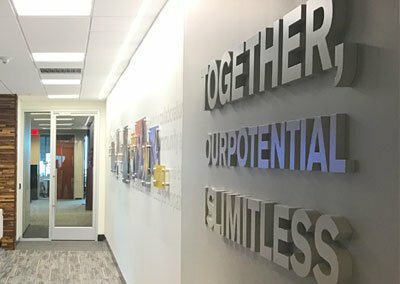 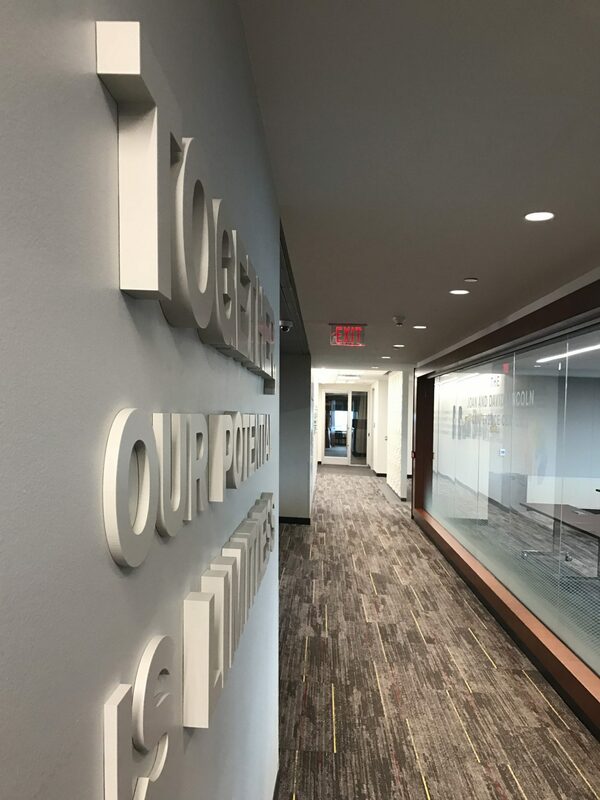 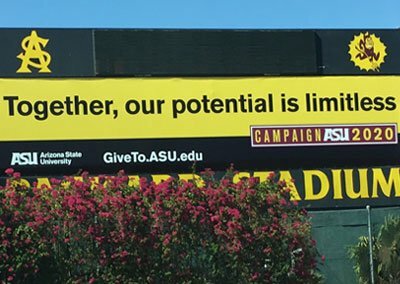 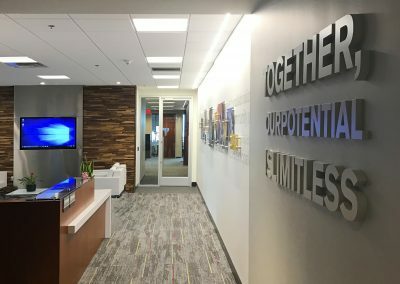 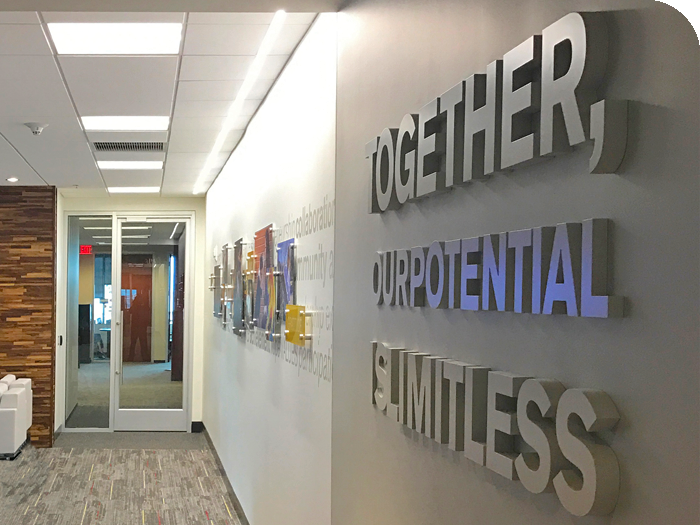 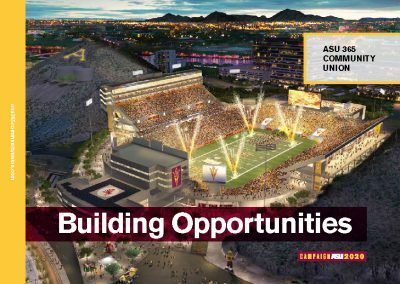 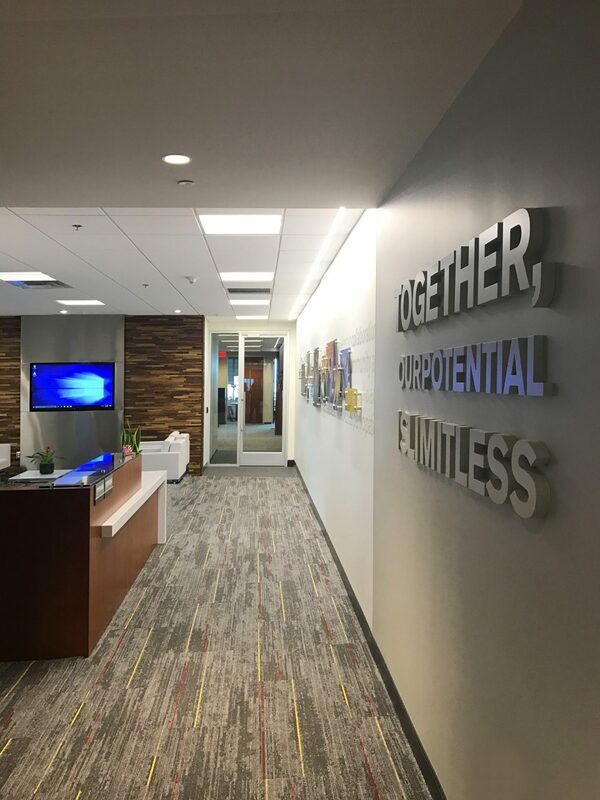 This wall features gray-on-gray 3D lettering with the campaign slogan “Together, Our Potential Is Limitless” for Campaign ASU 2020. 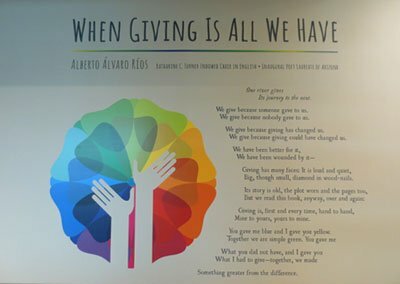 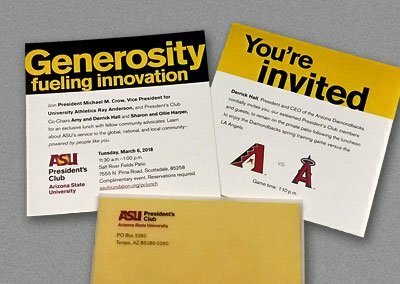 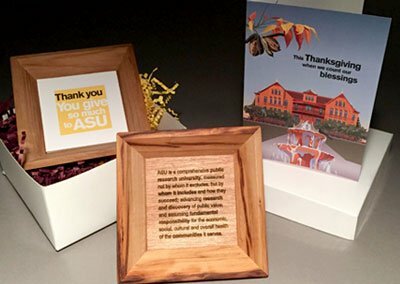 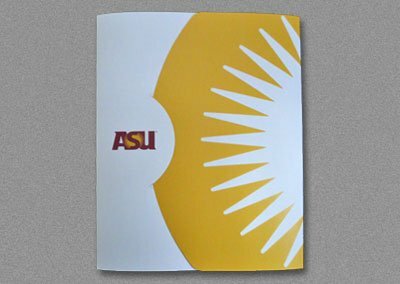 Lori worked with Airpark Signs in Scottsdale, who produced this featured proof of her design. 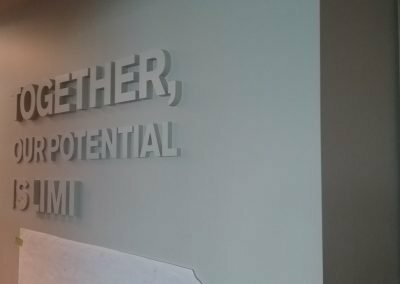 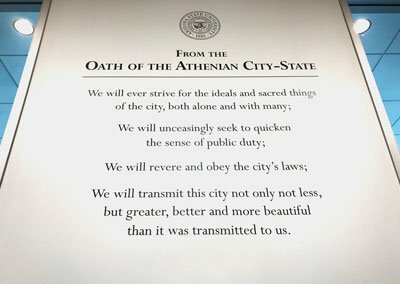 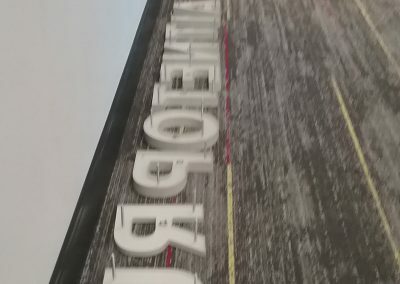 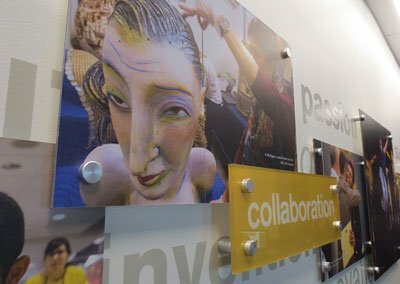 The custom lettering was created, custom painted, and installed near the reception entrance of the 6th Floor conference center in the Fulton Center. 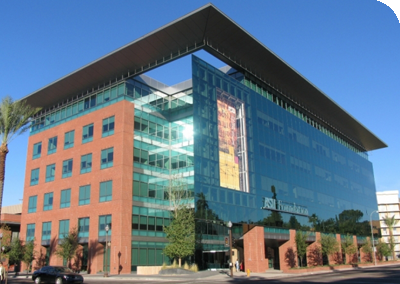 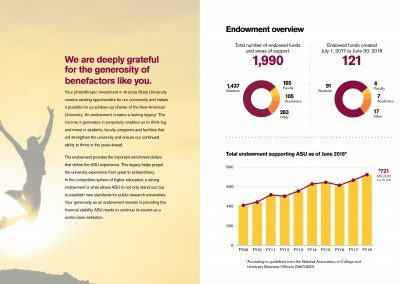 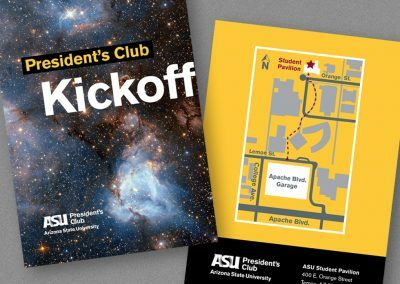 Arizona State University’s Fulton Center is located on the NE corner of University Drive and College Avenue in Tempe. 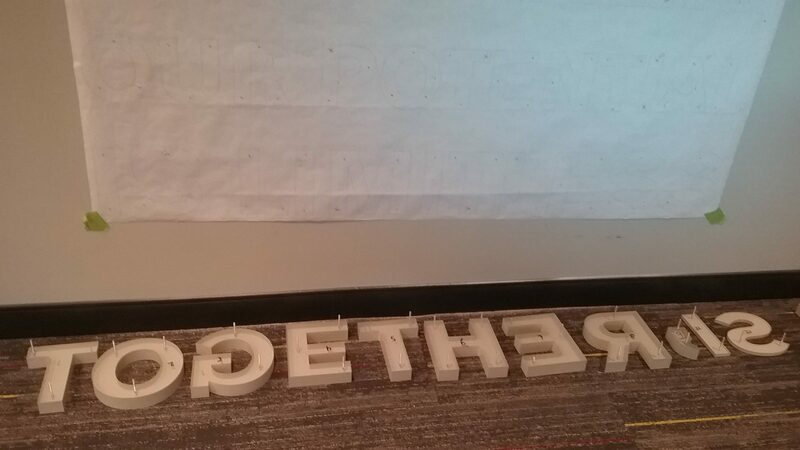 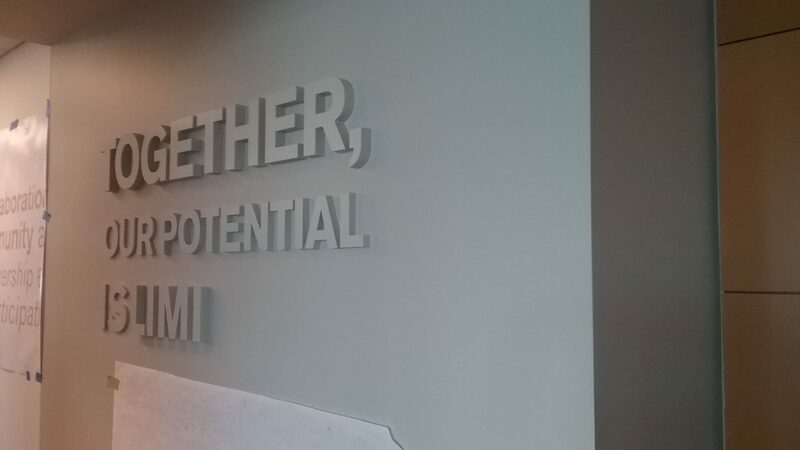 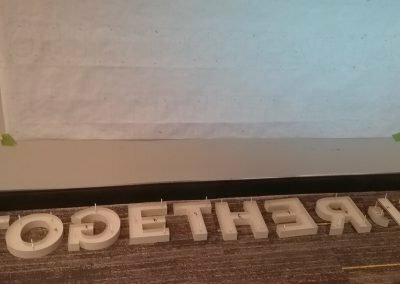 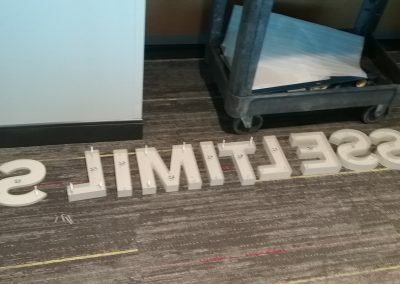 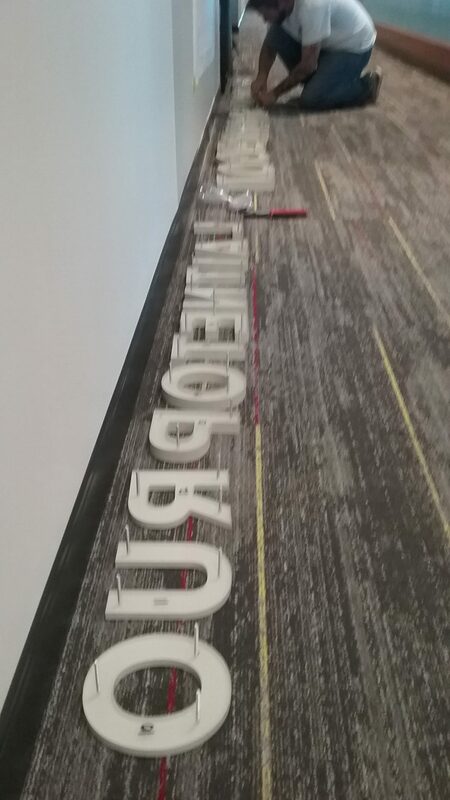 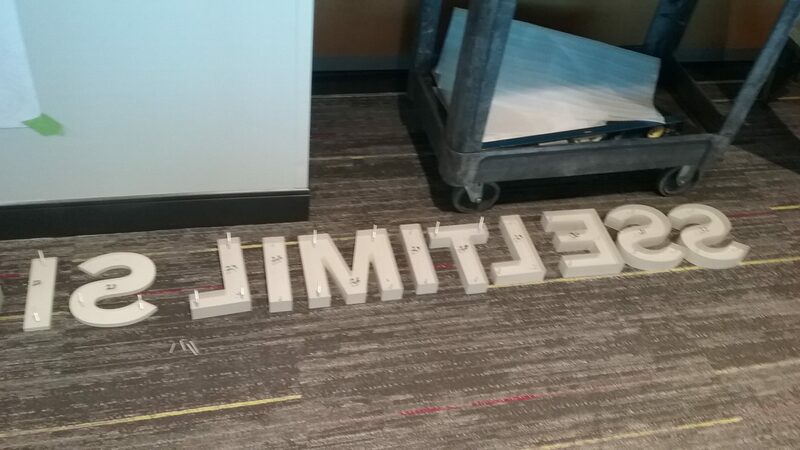 This 3D lettering is located near the reception desk on the 6th floor in the newly remodeled conference center.